Cycling, also known as biking or bicycling, is an activity that involves riding a bike. There are various reasons to cycle, all of which could make you decide to take up a cycling hobby. Some people cycle to get somewhere, such as commuting to work. Others choose to cycle for recreational purposes, such as staying healthy. No matter what your reasons for being interested in cycling, it is an efficient form of transportation and a great way to stay in shape. Not to mention, cycling can be a fun way to enjoy your city or town, or even to explore foreign lands. The first thing you will need to get started is the most obvious: a bike. However, choosing a bike might not be as easy or as simple as you think. Today, there are a wide variety of different types of bike to suit different purposes. As such, you will need to think about what you want to use your bike for and where you want to go with it before you buy. There are two main types of bikes that you should consider when starting out: road bikes and mountain bikes. Road bikes are designed to be ridden on the road, as the name suggests. They have skinny tires for optimum speed and most feature a lightweight frame with curved handlebars. Road bikes are meant to be used on paved surfaces. They are a good option for people going long distances on pavement, for instance if you are commuting to work everyday. The FX Bike by Trek is a popular choice for road riding. Mountain bikes are made for heavy duty riding. They’re like sport utility vehicles in the sense that they are rugged, rough, and made to withstand a lot of action. Their tires are wide with large treads and the frame is usually much larger than a road bike. They are far more durable than road bikes however, they cannot go as fast. The sitting position is also usually lower than a road bike. Trek makes an excellent Cross Country mountain bike, called the Superfly. Whether you’re just learning how to ride your new bike or you already have plenty of experience riding, there are several tips to keep in mind. If you learned how to ride a bike when you were a kid, your parents probably told you to wear a helmet and that advice still applies today. In the United States, an average of 6,000 cyclists require treatment for head injuries every year. Head trauma is responsible for nearly 75 percent of all fatalities that occur while cycling. 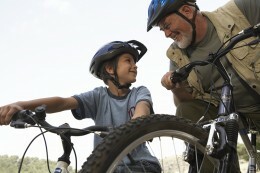 Injuries and fatalities can be prevented if you wear a helmet. Other safety gear to keep in mind includes reflective clothing so that motorists can see you. The next thing to keep in mind is that it’s best to start slowly with your new hobby so that you don’t injure yourself. 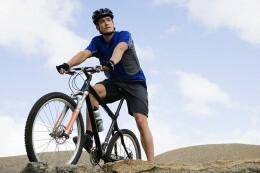 Try biking for approximately 30 minutes on even terrain. After a few weeks, you can up the ante and add hills or ride longer to have a more intense workout. If you start to get lonely during your rides, consider joining a cyclist group for some added companionship. There are numerous benefits to cycling. In fact, it is one of the greatest ways to stay in shape and it is really fun. 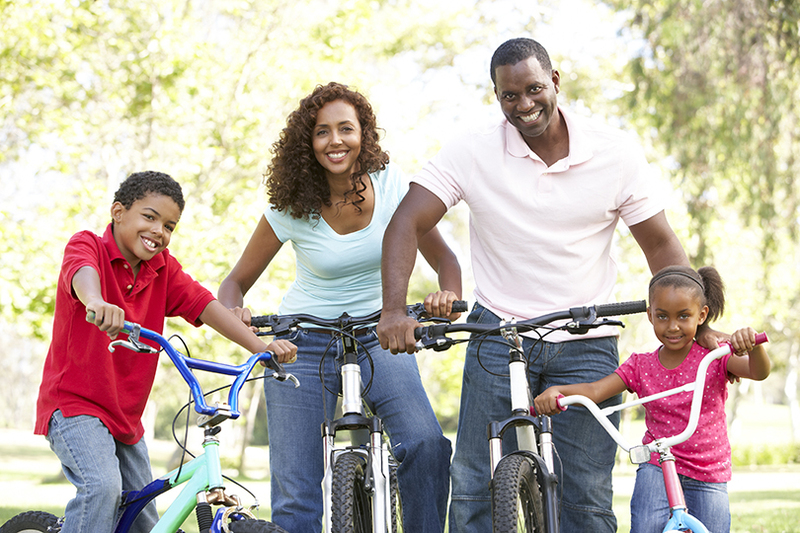 Many people enjoy the thrill of riding a bike, whether they do it competitively or recreationally. Staying in shape is so important these days, as many people suffer the health effects of a sedentary lifestyle. Cycling on a regular basis is cardiovascular exercise that can help you to reduce your risk of developing a wide range of health problems later on in life. Cycling is also a practical way to get around. It doesn’t cost near as much as driving a car and is usually less than accessing public transit. In addition, it’s good for the environment. People who commute to work on their bikes also find that it’s an effective way to get in exercise when they would normally be sitting in their car. If you find you don’t have time to go to the gym everyday, cycling can ease up your schedule and make it easy for you to always get some physical activity.